Aquaman is going be slightly shorter when it plays on the big screen in the United Kingdom compared to other markets. Officially, it has just been given a 12A rating, meaning anyone under the age of 12 cannot see the movie unaccompanied. To obtain this rating, a certain scene with “bloody detail” needed to be removed, otherwise the movie was more likely to be classified 15. The studio acquiesced, and the unspecified scene was cut to allow for the movie to receive its desired UK rating. The goal here is to increase ticket sales as much as possible by making the movie as widely available as possible, though some fans might be annoyed to know the version they’ll be seeing will be slightly shorter. Even with this small edit, Warner Bros. is anticipating a high turnout for Aquaman across the globe. Early ticket sales have broken records, proving there’s plenty of interest from filmgoers to see this movie. It’s a great sign, considering how several DCEU movies have fallen well short of expectations. Movie critics who’ve seen advanced screenings have also come back with glowing reviews, which is also excellent news. The hope for everyone involved is that Aquaman will be as well-received as Wonder Woman, which seems to be the most well-received of the DCEU movies. 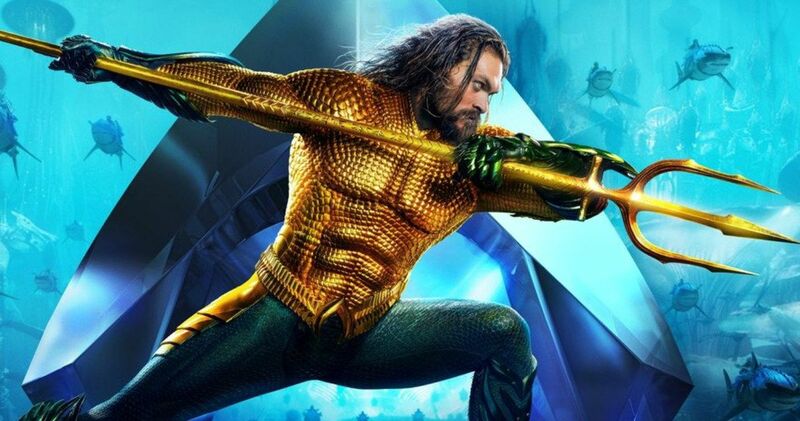 A possible set-up to an ongoing series of Aquaman flicks, the superhero seems to be doing much better on his own than with the entire Justice League. Aquaman has mostly been pictured as a kid-friendly superhero wearing bright colors. From horror director James Wan, this movie will be presenting a darker take on the character, whom we’ve previously been introduced to through Batman v Superman: Dawn of Justice and Justice League. In the story, Aquaman aims to keep the planet protected from his half-brother, Orm. Game of Thrones star Jason Momoa plays the titular superhero, with Patrick Wilson co-starring as Orm, otherwise known as Ocean Master. Amber Heard, Willem Dafoe, Dolph Lundgren, Yahya Abdul Mateen II, and Nicole Kidman are also playing prominent roles in the movie. For its opening weekend, estimates are calling for Aquaman to pull in over $100 million. This would be the first movie to achieve such a high opening gross since June, when Jurassic Kindgom: Fallen World was able to do so. With some early reviews putting the movie on the same level of The Dark Knight, we seem to be looking at one of the most successful DC-based movies to come out in many years. Everything seems very bright for the movie’s performance at this time, and hopefully it will be able to deliver on all this hype that is being projected onto the filmgoing public.